Leonard and Hungry Paul are two quiet friends who see the world differently. They use humour, board games and silence to steer their way through the maelstrom that is the 21st Century. 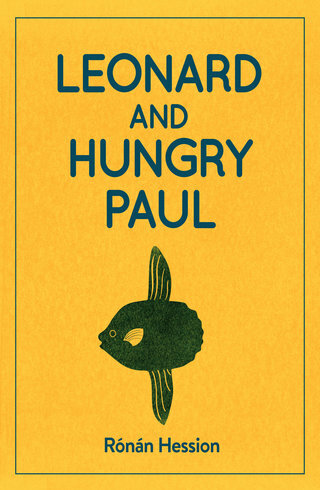 LEONARD AND HUNGRY PAUL is the story of two friends trying to find their place in the world. It is about those uncelebrated people who have the ability to change their world, not by effort or force, but through their appreciation of all that is special and overlooked in life. 'God, what a voice Ronan has. It is spectacular and already feels like a cult classic. I was absolutely hooked.' - Donal Ryan, Man Booker and Costa listed author. Leonard And Hungry Paul will be published on 20 March 2019. You can pre-order the book now.